This unique and detailed design is what you've been looking forward to adding to your planner or bullet journal! It's got 89 books on a bookshelf that is elegantly designed in a modern, yet fun way to display your reading list! 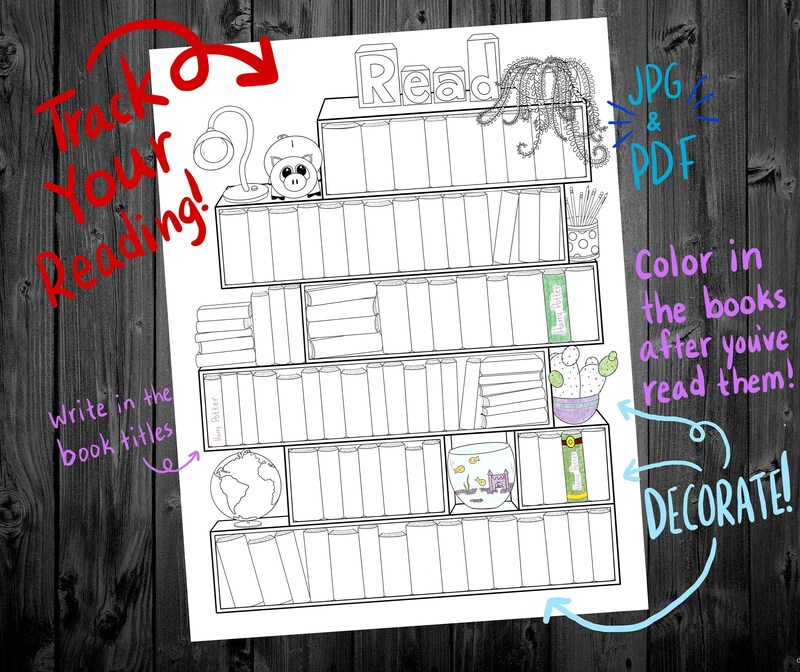 Add the names of the books you want to read on the spines of the drawn books and once you've read them, color them in! Add extra design and color all over the bookshelf to truly make it your own! The possibilities are endless!